Thank you and congratulations on taking this class, â€œNexus: How to Deliver Large Projects with Scaled Agile Scrum and Manage Multiple Teamsâ€. In the world today especially the business side, it is very difficult to develop a team to the level that most of us may like and still be able to maintain the teamâ€™s discipline and structure that will lead to high quality products. 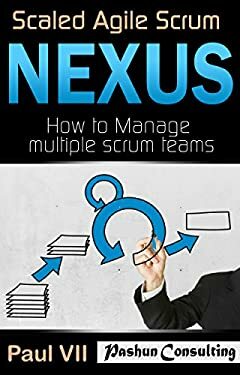 But with Nexus, you can solve these problems since it is a key framework for doing exactly that, even with huge teams. âœ“Why Nexus (Scaled Scrum) was created and how it can help you. Without wasting time, letâ€™s get started and let me educate you on what it takes for you to use the Nexus framework in your business. Why Was Nexus Created And How Can It Help You? How can Nexus help you?